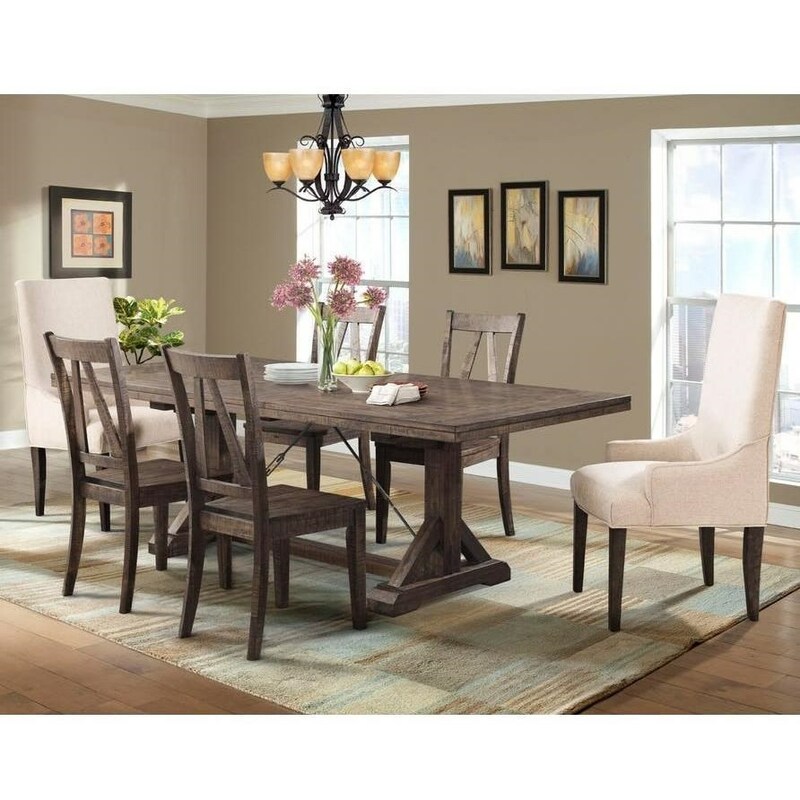 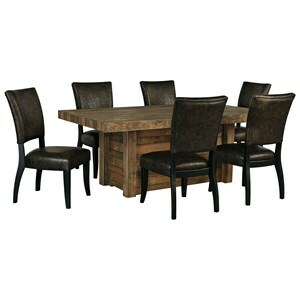 Perfect for a farmhouse kitchen or dining room, this table set has a classic trestle table with angled support beams. 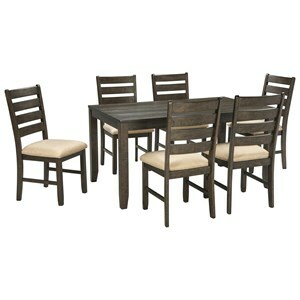 Two metal stretchers help support the table top and add vintage and industrial aesthetic to the set. 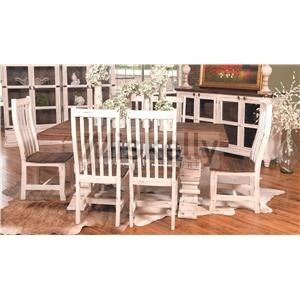 The side chairs have angled backs matching the trestle while the arm chairs feature lovely cream colored upholstery. 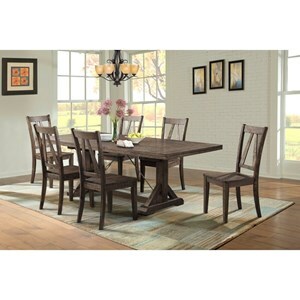 The table has one 18 inch leaf extending the length from 72 to 90 inches.